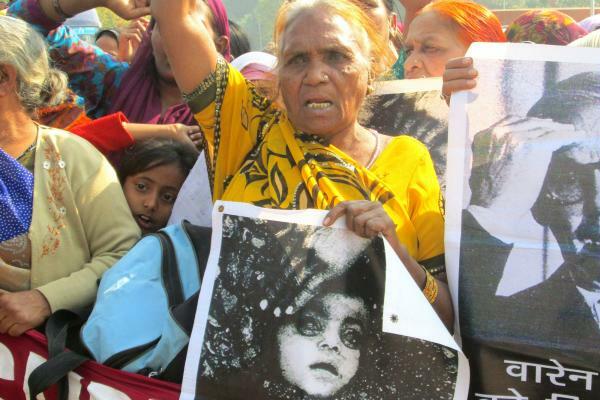 The struggle continues 28 years after the Bhopal gas disaster. 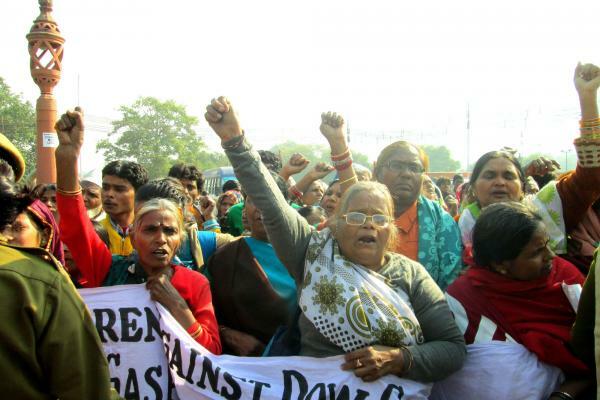 This slideshow depicts different generations of female Bhopali activists in protest. In 2001 the Dow Chemical Company purchased the Union Carbide Corporation (UCC) –the company responsible for the Bhopal gas disaster. In purchasing UCC, Dow inherited its outstanding legal liabilities, making it now accountable for the Bhopal gas disaster. Despite this, Dow continues to deny all responsibility. Pictured is Tulsa Bai. Bhopali women have played a central role in sustaining the on-going struggle for justice in the aftermath of the Bhopal gas disaster. They occupy community-level and top tier-level leadership roles and act as spokespersons for the struggle. 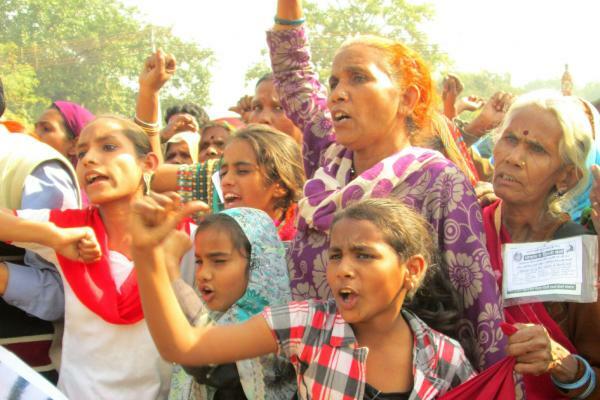 The women-activists of Bhopal have also influenced a new generation of young female activists, who play a key role in carrying the struggle forward. The young girls pictured are Saaliya, Rahnuma and Nasreen (left to right), accompanied by prominent activist, Shehzadi Bi (in purple). 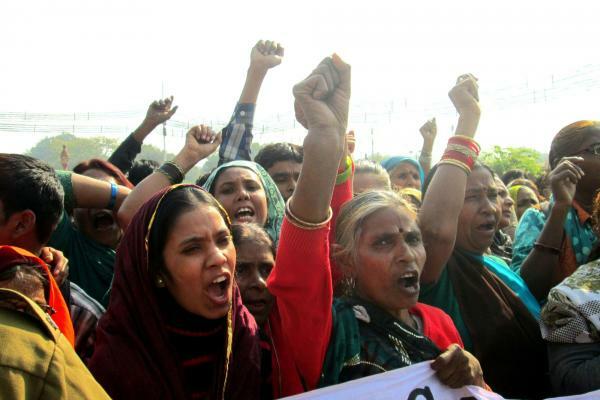 The new generation of women-activists are a powerful voice contesting the apathy of the Dow Chemical Company and the Indian government. 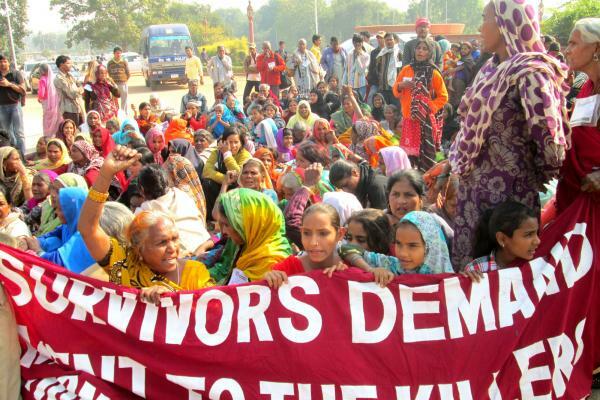 Pictured (left) is Safreen Khan, leader of the movement group, Children against Dow-Carbide.